The articular tubercle is a bony protrusion at the temporal bone of the skull. It is a round protrusion belonging to the anterior origin of the posterior terminal of the outer side of the squama temporalis. It is covered with cartilage in the renewed form and creates the front margin of the mandibular fossa. The mandibular condyle generally travels above the articular tubercle at the time of physiological maximal opening of the jaw. 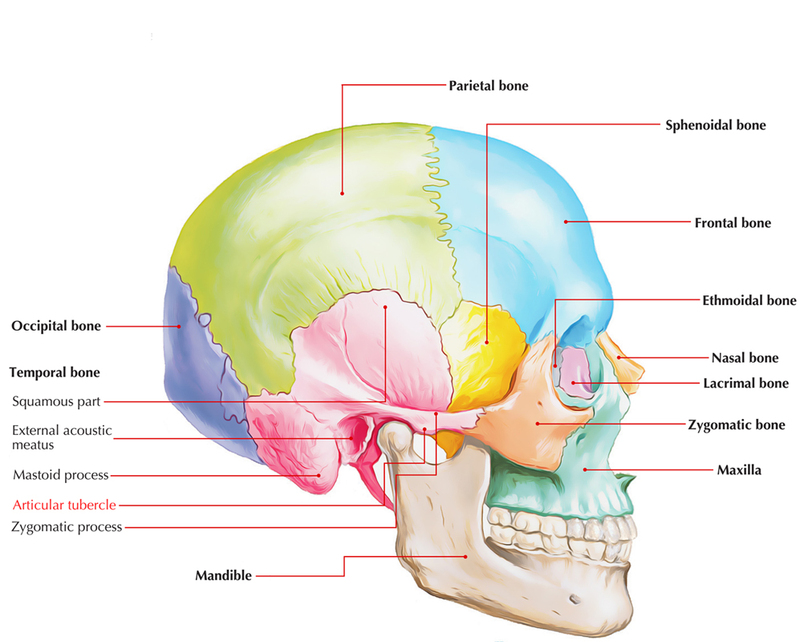 Two structures that create the temporomandibular joint at the inferior part of the origin of the zygomatic process are the articular tubercle along with the mandibular fossa. Both are extend from medial to lateral. The articular tubercle is an attachment site of the lateral ligament of the temporomandibular joint.